Following the announcement of our starship combat miniature game based on the “Battlestar Galactica” TV series, many people started to ask more information. 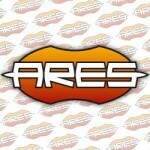 Ares Games and the game designers Andrea Angiolino and Andrea Mainini answered them in various interviews and on social media. 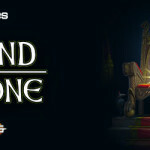 We will start posting detailed previews soon, but in the meantime, you can find here many answers! Will the game be an all-in-one set, or will it follow in the format of expandable games? 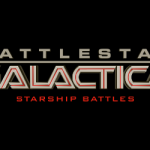 Battlestar Galactica – Starship Battles will be available in a Core Set with everything needed to start to play, and expansion packs to expand the game with more ships, similarly to Ares Games’ lines Wings of Glory and Sails of Glory. Will the game focus on standard 1-vs-1 battles, or will it have scenarios / objectives? Both, the game will allow to play a single dogfight, or more elaborated scenarios. Will it be possible to play single games as a continuous narrative campaign, with the main stars of each episode? 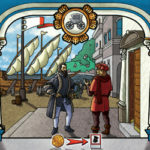 Each single game will be able to replay interesting situations from the show, thanks to specially designed scenarios that will entwine objectives, strategies, and character behavior. Some scenarios will be linked, with the outcome of each game session changing the setup of the following one. There will also be rules to increase the pilots’ experience from a game to the next, allowing the players to develop true campaigns with official characters or new ones that they can invent. Are there modes of play for more than two people? Yes, with its simultaneous movement system, the game is great to play multi-player. 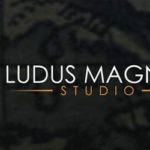 Will the game include characters? Considering it will cover both the classic Battlestar Galactica series and the new series, how will you decide which “Starbuck” to use, for example? Or will you feature both? We will have different product releases for the two settings, but they will share the same mechanics, so you can mix and match if you want, or avoid doing that if you don't like mixing up series! Will the game allow fighter level combat or capital ship level combat? We start with the fighter level, but we will step up the game to include the capital ships in the future (keeping model compatibility and accepting the fact that they cannot ever be in scale, of course). How will the game handle the larger ships like the Galactica and Cylon Base Stars? How large will they be? Will they be cardboard or actual ship models? We will release them as large models (12" and more), fully playable. We are planning, to support the initial release, a cardboard "Galactica/Base Star" gaming mat to play scenarios without the need of these models, which will release later. In the series, ships could pivot & spin and maintain momentum independent of the ship's heading. Will the game be able to simulate this kind of maneuverability? How it will be done? Yes, the game will use special bases to allow this kind of maneuvers. What about the expected retail price? 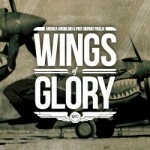 Roughly, the price for a fully assembled and playable fighter-style model will be in line with our similar products (Wings of Glory Airplane Packs and Sails of Glory Ship Packs) - around $15 SRP for a model inclusive of special gaming base, maneuver deck, and any other game component required to use it.